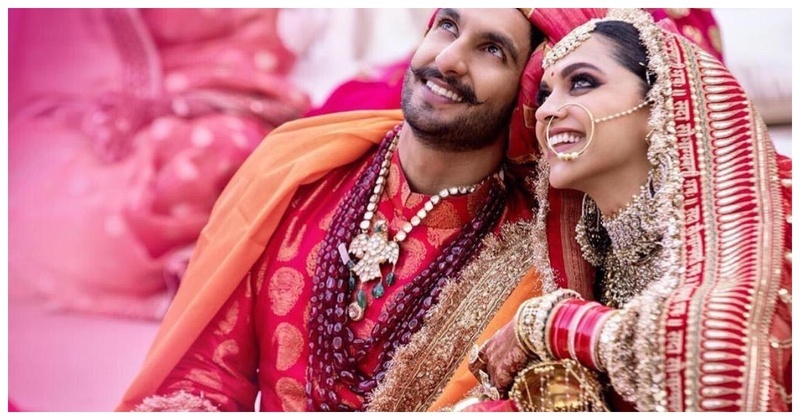 Deepika Padukone & Ranveer Singh's Sindhi Wedding Ceremony had everything from gorgeous kaleeres to a beautiful bridal entry - here're the Exclusive Pictures! All you DeepVeer fans, their wedding pictures are not ghumshuda anymore! The memes have already teased us enough, now it is our chance to get back at them! Both Ranveer Singh and Deepika Padukone have shared their wedding and mehendi pictures on their Instagram accounts. I am not exaggerating, but the love is so visible on their faces! They look ever so radiant in all red robes by none other than Sabyasachi for their Sindhi wedding! The gorgeous couple thinking about their lovely forever together! Everything about the DeepVeer wedding was exclusive. Even their food served was sworn to be never repeated! For the Sindhi wedding, a Gurudwara look alike was created in the hotel to give make it more authentic!